Looking for Military Thriller Novels in Washington, DC? Available NOW on AMAZON and Kindle! Fans of military thriller novels in Washington, DC, owe it to themselves to delve into the work of Britt Alan. His compelling, and entirely plausible, storylines pull the reader into a world of volatile alliances, shifting balances of power, clandestine webs of political intrigue—a world very much like our own. Alan’s career background in international relations and defense-related programs gives him a valuable insight into the geopolitical stage that imbues every page. The author skillfully weaves through narrative layers without losing either the global oversight or attention to local detail that balances his finely crafted fiction. Moreover, his ability to recount his tales through memorable characters keeps the work relatable, intimate, and persuasive. His fiction delivers the full weight of the historical forces at work in our own time, but that force lands as the warmly human touch of the protagonists in whom we recognize the patriotic Americans around us. Readers who can’t get enough when it comes to political thrillers will find their latest addiction in the work of Britt Alan. His breadth of research, skillful pacing, and instantly gripping sentences hook fans of the genre and keep them coming back for more. Navy SEAL sniper Cam Nite knows something isn’t right when he watches a gigantic recreational vehicle pull onto the Francis Scott Key Memorial Bridge in Washington, DC. His concern escalates when he sees five more follow. 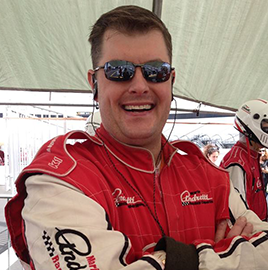 The resulting blast tells him his gut is right. The bridge is gone—and the United States is plunged into a power dispute it didn’t see coming. The terrorist attack Cam witnesses is just the beginning, as Iran’s Quds Force carries out suicide bombings across Washington, DC. What he doesn’t yet realize is the attack is connected to the Iranian Deputy Commander of the Quds Force, General Hamedani and a high-ranking Chinese NOC agent, Xi Gang, who orchestrated the crippling strike against America. China, threatened by its precipitously declining natural resources and troubled economy, seeks to knock the United States out of its world leader status—and in Iran finds the perfect partner to realize its ambitions. 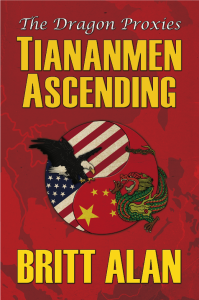 Author Britt Alan’s up and coming political thriller novel for Washington, D.C., Tiananmen Ascending, is a masterful novel that warns of the threat of increased, unchecked Chinese regional aggression as it attempts to increase its power and position. Geopolitical intrigue meets action in this contemporary novel drawn from current events. If this sounds like the kind of material that keeps you reading late into the night, stay tuned to get updates on the latest page-turners from Britt Alan. After a career supporting the Department of Defense’s Science and Technology portfolio, I’m taking the extensive knowledge and experience I’ve gained, and weaving fictional stories informed by real events—stories that could, and still might, really happen if we aren’t vigilant. Exhaustive research is the key to accuracy—I know enough to know what I don’t know, but am willing to learn—and one of the most enjoyable aspects of writing. Check out my RESOURCES page to share some of the fantastic and fascinating resources I use daily to expand my knowledge and understanding, be it with respect to writing, domestic/international politics, weapons, history and threats to the United States of America. My first novel, Tiananmen Ascending — The Dragon Proxies [vol. 1] will be published in Spring 2016 by 2nd City Press. I am currently seeking representation while working on my next projects—the sequel to Tiananmen Ascending, as well as two children’s books and a 1940s era detective noir novel I am editing (originally written in the 40s by my great-grandfather–talk about period accuracy!). Please contact me via the CONTACT link if you are interested in representing my work. Please support the heroes who dedicate their lives to keeping Americans safe and secure daily. A portion of the proceeds from all my books will be donated to the SEAL Legacy Foundation. Thanks again for stopping by, and please share any feedback through the CONTACT link to the right. I answer each inquiry personally. Also, check out my paper, #thrillers & thrilling times for impactful articles. Happy reading! Contact Britt Alan with your questions and comments. Britt looks forward to hearing from his readers.